Development in Downtown Crossing is practically frozen. The New York-based developer Vornado Realty Trust currently controls the development rights to the Filene's site, but has had its construction permits revoked by Mayor Tom Menino's office and the Boston Redevelopment Authority. They have left a hole where Filene's used to be and work has stopped completely. Join our public events in Boston's Downtown Crossing on Saturday, November 19. For more information on our projects and the schedule, please visit out Projects page. 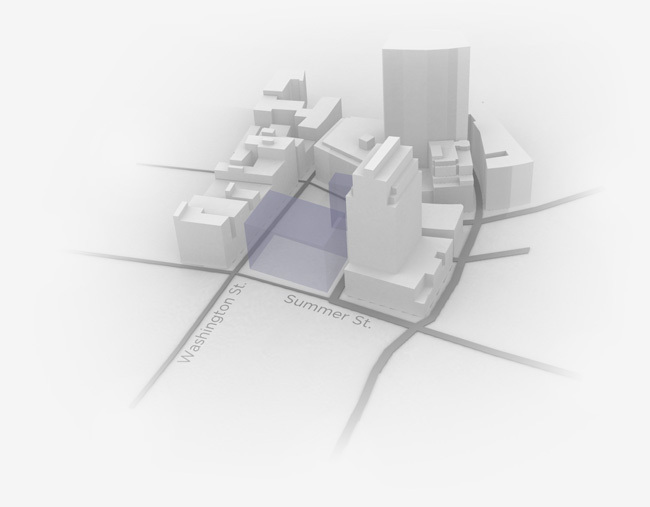 Do you have a great idea for the site in Downtown Crossing? Do you miss Filene's Department Store or Filene's Basement? Do you live or work in the area? Are you as upset as we are? Submit your short video here! Share your thoughts via Twitter instead.